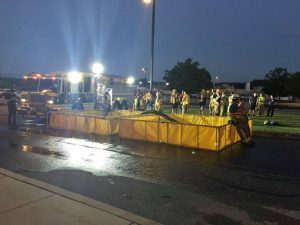 The Downingtown Fire Dept. 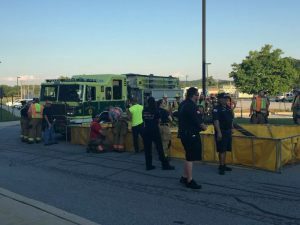 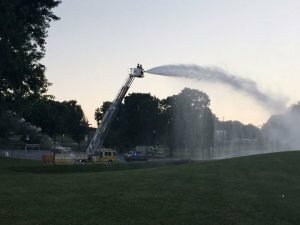 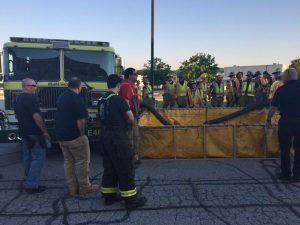 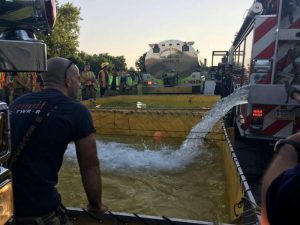 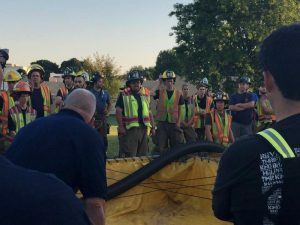 hosted a Water Shuttle-Tanker Ops training at our weekly training event on Wednesday evening at Downingtown West High School and Downingtown Middle School. 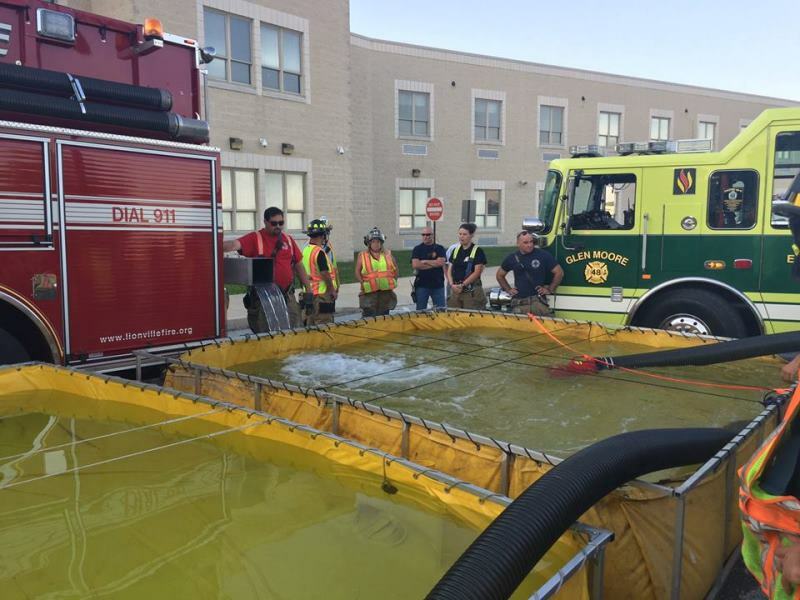 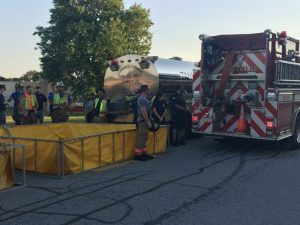 Glen Moore Fire Co. Chief Jeff Seese and Deputy Chief Paul DeCarlo conducted the training and instructed us on the basics of setting-up a porta-tank and water supply/shuttle operations. 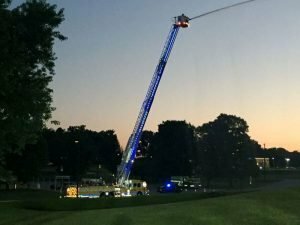 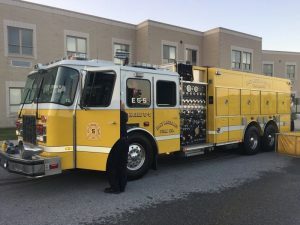 The drill included Tower 45 and Engine 46-1 operating at a fire scene, with Engine 48-5 – Glen Moore Fire Company, located at the end of a block supplying these units. 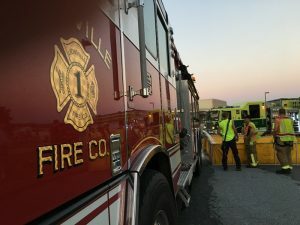 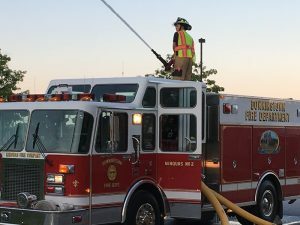 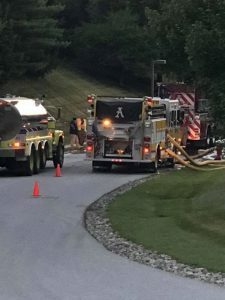 Engine 45 was located at a near-by fill site to supply the water shuttle units of Engine 47-5 – Lionville Fire Company, Engine 5-5 – East Whiteland Fire Company and Tanker 73 – Ludwigs Corner Fire Company. 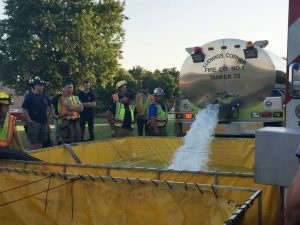 This was valuable training for our volunteers to learn how rural water supply can help supplement our local fire hydrant system. 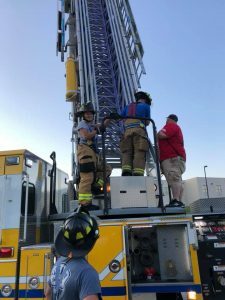 We would like to thank everybody who participated in this training. 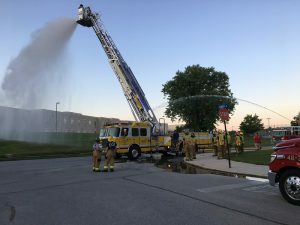 Some photos are courtesy of the Glen Moore Fire Company and the others are property of the Downingtown Fire Dept.